It’s not easy to create or choreograph family videos, but with a little bit of effort and extreme patience, you too can make a fun, memorable video that will live on forever. Celebrate As Only We Can from JaWaVi Films on Vimeo. What does a dad do with his three kids when mom leaves for four days on a business trip? My wife, Jennifer, had left us to fend for ourselves for a few days back in September to attend New York Fashion Week. Being a makeup artist and blogger, the kids and I are used to her having to travel on weekends for weddings and major fashion events. If you’re a parent you’ll understand my next statement…Our children seem to be growing up faster than we can wrap our heads around. Am I right? Yeah, it’s crazy. So being a filmmaker, I try not only to capture all of life’s little events, but also take time to curate them into fun and memorable moments that will (technically, I guess) last forever. To me it’s like creating little time capsules of our lives with each video I make. Film as much interesting action as I can squeeze on my iPhone and GoPros. Concentrate on content. Whether it be asking open ended questions which might result in a classic answer, framing the shot from unique angles or directing my family as well as myself to jump, smile, etc, you know, act like young kids. Then, take the temperature of what I have on video, find a piece of music and edit from that standpoint. Very rarely do I plan out the background music first and then direct my actors as to what to do. And the ones which are planned out are definitely harder to edit, and involve much more footage because of multiple takes to get it right. But, they’re totally fun to create. Related Content of a preplanned shoot: Pura Vida! Costa Rica! As I mentioned earlier, it was just the the four of us for a long weekend. The weather was spectacular in Athens, Georgia and my initial thought was to create a documentary style film on Jennifer packing up, leaving and traveling in NYC while the kids and I entertained ourselves back at home and to intertwine a complete story from both perspectives. Jennifer did her best to send video clips of she and her fashion blogger friends taking in the sights and sounds of NYFW. But, she got super busy and realized that trying to keep up with documenting her visit through video just wasn’t practical and together we nixed that idea within a day of her leaving. Lucky for me, I had a back up plan, and it was a good great one. If you follow my blog or video channel then you are aware that my favorite new iOS app is the Cameo app powered by Vimeo. It is such a rich content platform that allows the user to take the videos they capture on their iPhone and turn them into cinematic wonders with a selection of usable music and Instagram like filters. 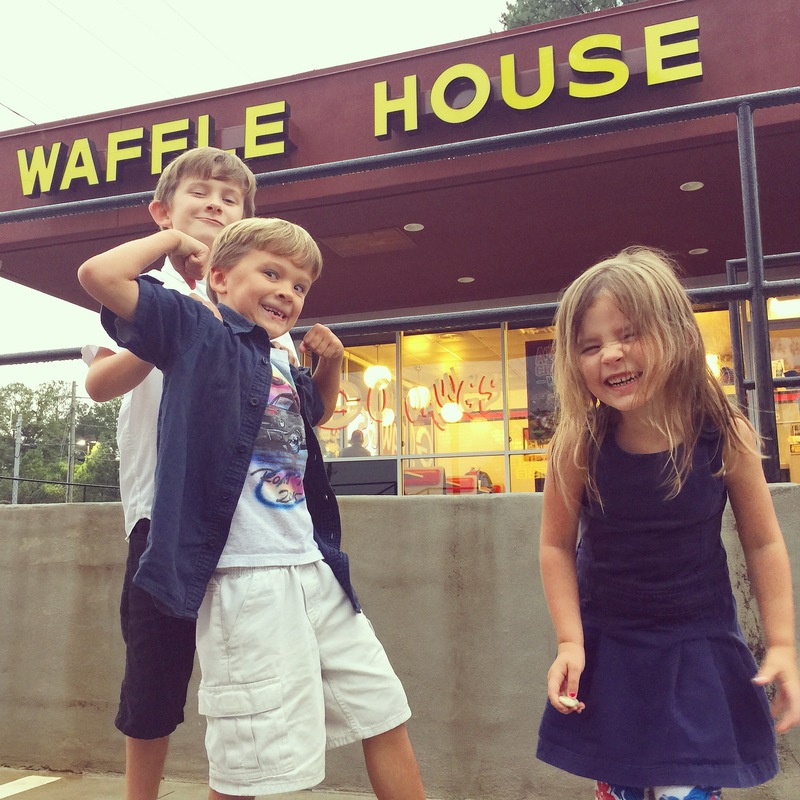 I had some footage from the first day of our dad’s weekend of the kids and me walking to the bus stop and goofing off at Waffle House. At some point during the late evening after the kids were tucked into bed, I started piecing together a new project on Cameo of the footage I had taken that day. That’s when I came across the most infectious, celebration song by the band Farmdale, which was appropriately titled, “Celebrate“. As I continued with my edit, some of the clips just started falling into place very easily. The words coincided with the clips on screen just perfectly. However, an idea came to me as I was editing that this video could be so much more. I couldn’t believe what I was thinking (this coming from the guy who didn’t even want to dance at his own wedding), that there needed to be dancing and lip-syncing. I don’t sing and I definitely do not dance. This was the part in my planning where my creative mind was having a heated discussion with my more practical and conservative side. Sure, a uniquely fun and entertaining video would involve the kids and me singing and dancing to the lyrics of “Celebrate”. But that can be embarrassing, right? Yep. It can. However, when you have three kids who already love you regardless of whether you dance poorly or have moments where you act more like a teenager rather than a late 30s adult, you can’t lose. Thus, the dancing and singing part of this video story commenced. Gimbal, I couldn’t have done it without you. In order to pull of this potentially embarrassing feat, I had to think about what equipment and cameras I would need to use. First, I needed to charge up my gimbal. What’s a gimbal you ask? In short, it is a piece of equipment that will add stability to your video. iPhones are small and unless you have them affixed to a tripod, simply holding them to record video while you’re moving around a lot will result in less than stellar video footage. And, we were going to be doing a lot of moving around. This shoot could not have been done without the use of two iPhones. I wanted to use one to record and the other to play the song since we would be dancing and trying our best to sing along. The components of my stabilizing gimbal did not fit the iPhone 6s, so the entire video was shot on my trusty old 5s with the 6s playing the musical track. Sure, i could have still accomplished the overall goal of the production without image stabilization, but there’s no way footage such as the beginning where I start singing would have been usable due to inevitable shakiness. Notice also the cool sweeping motion towards the end of the film where my three kids are sitting down and I’m able to capture a virtual panorama going from one side to the other. All of the nitty gritty location details. All videos, whether they’re for business or entertainment tell a story. But putting together the story can be the fun part, or most intimidating. I’m talking about editing video. I think I had a total of 75 minutes of video (too much if you ask me), which I pared down to fit nicely into the 3 minute runtime of the song. Could I have edited the entire video on Cameo. Yes, however with all of the quick transitions and cuts I needed to make, I chose to edit on my Mac. Again, another choice. I could have used Final Cut Pro, which is one of the most advanced video editing software programs available. But this video edit was not going to require that much manipulation of the footage, so I chose to go with the always reliable and very straight forward, iMovie. The toughest part included syncing up the video of my kids and me singing. A half second off on the timing and the final cut doesn’t look very good. It’s gotta be precise. Upon completion, I exported the video to a file, popped it over to my iPhone, uploaded the completed project to Cameo and added one of their colored filters on top. Which one did I choose? The Vivid setting. Then it was uploaded automatically to Vimeo. Perfect. Initially, I received some pushback from the three little stars in this feature. There were times when dancing, especially from the littlest just wasn’t going to happen. It’s amazing how the personality comes out when she’s allowed to wave one of her many pompoms that she has on hand. From the lip-syncing to the dancing, I wasn’t sure how it would all come together. I think it’s safe to say, I am pretty happy with how it all turned out. My one regret has to be the fact that the best, and legitimately really good dancer we have in this family happens to be my wife and she wasn’t in it. For the record, she was over the moon when she saw the completed version and very sad it was done without her. There’s always next time. In conclusion, the story in this video is to emphasize the quote from Mike Myers that I began this post with. “Anyone who tells you that fatherhood is the greatest thing to happen to you, they are understating it.” I thank God everyday that he blessed me with a beautiful and loving wife who shares the joy with me in raising these three beautiful and fun-loving kids. 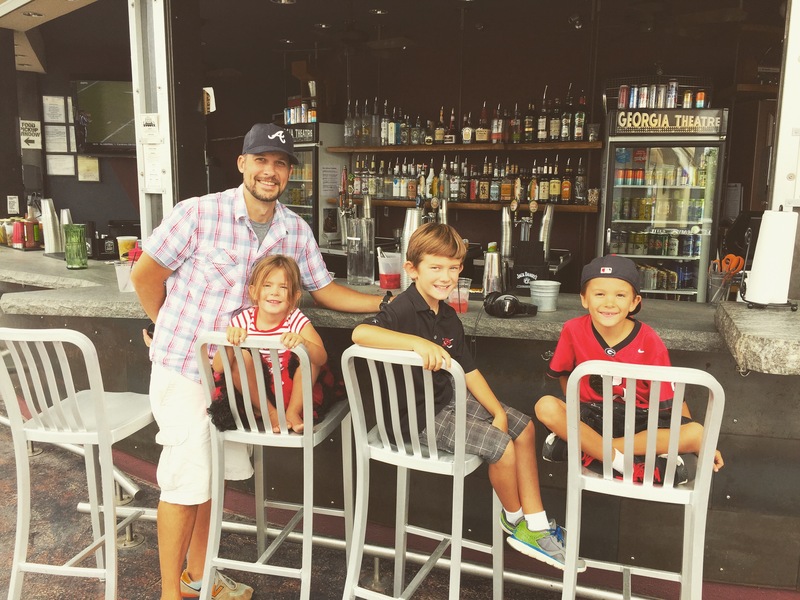 Scott Duvall is a videographer, filmmaker and podcaster who resides in Athens, Georgia with his wife of 14 years and his three kids. The name, JaWaVi Films comes from the first two letters in his three children’s names. Just think about how many videos you have right now wasting space on your iPhone or hard drive. There’s no true way to enjoy them until they’re curated into a timeless, shareable video. Should you have the need for filming or video editing help, feel free to reach out to Scott.